I watched a programme yesterday where a designer rescued items that were going to be thrown on the tip. She saw potential in the grottiest of things and took them away to restore and renovate them for a new life with new purpose. 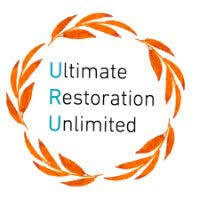 God is the ultimate restorer. He created us for a purpose and no matter how much the world has misused us, how scruffy and stressed out we are, how much of the dirt of sin has spoiled us, when he looks at us he sees the beautiful unique person he created and remembers the plan he has always had for our lives. Isaiah prophecies that those who have been restored can become restorers in the lives of others where they live. Who do you know that you could invite to hear the good news about the Jesus who can restore lives? This is a powerful message that will transform lives - who do you know who needs to be at the Ragged School with us this Sunday?